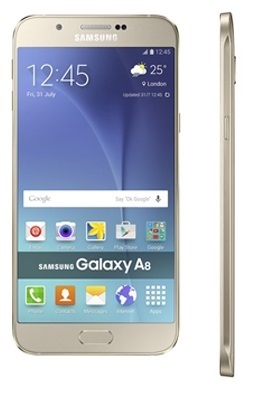 Samsung Galaxy A8 was unveiled officially in South Korea few weeks back. The device has a near bezel which means the device will give you nice viewing experience. The Galaxy A8 will be available in three colors in India - Black, White and Gold. 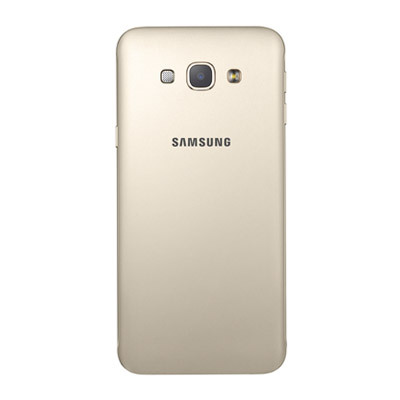 Lets have a look at the specifications and features of the Samsung Galaxy A8. The devices has a 5.7-inch 1080p Super AMOLED display. It runs Android 5.1 (Lollipop). Instead of Qualcomm's Snapdragon, the Galaxy A8 is powered by Samsung's Exynos 5430 Octa-core processor. Will all these surprises it packs 32GB internal memory with 2GB of RAM and expandable memory. The Galaxy A8 features a 16MPrear camera with LED flash and f/1.9 aperture. It has a 5MP front-facing camera with 120° wide-angle lens for selfies. It packs a 3050mAh battery. With all these stuff, Samsung also decided to add a Fingerprint sensor. Fingerprint sensor is a nice and secure way of protecting the phone. It is available via Samsung's estore - Click Here. So what do you think about the phone, comment below your view and as always "Keep visiting, Stay updated".